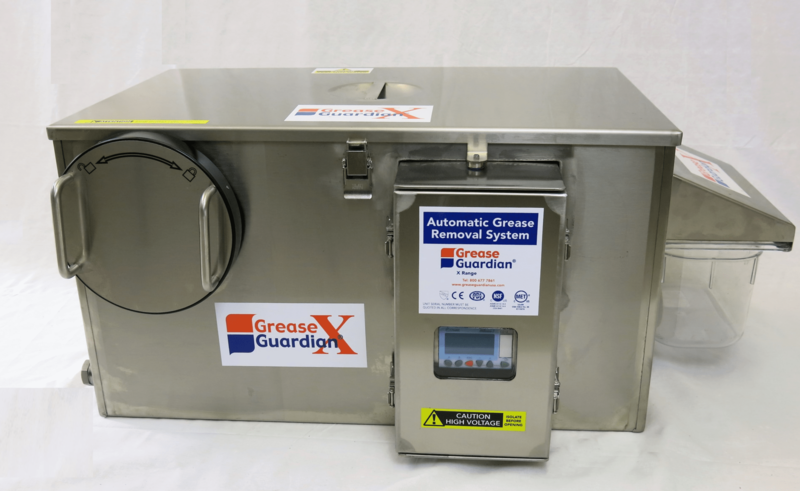 X15 Under-sink grease trap and grease removal unit. 15 GPM flow rate. Removable side access solids basket. Traps food waste and grease and removes grease with skimming program. Spray bar included for cleaning. 304 stainless steel. Optional extras: auto-wash valve, aeration devices, motion sensor and mounting frames. Up to 10 years warranty. 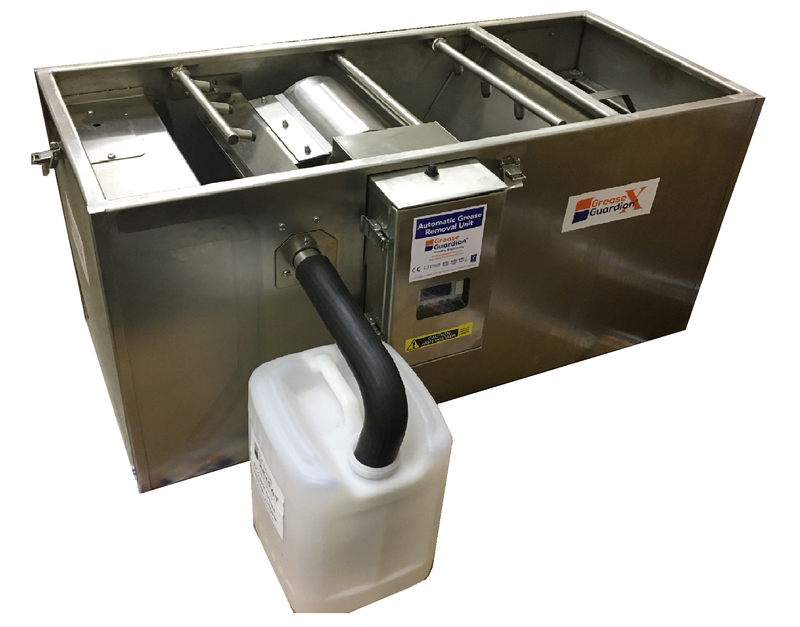 X20 Under-sink grease trap and grease removal unit. 20 GPM flow rate. Removable side access solids basket. Traps food waste and grease and removes grease with skimming program. Spray bar included for cleaning. 304 stainless steel. Optional extras: auto-wash valve, aeration devices, motion sensor and mounting frames. Up to 10 years warranty. 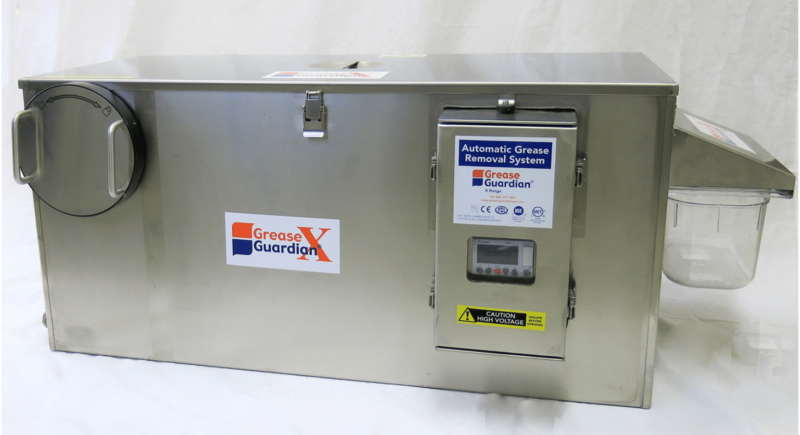 X25 Under-sink grease trap and grease removal unit. 25GPM. Removable side access solids basket. Traps food waste and grease and removes grease with skimming program. Spray bar included for cleaning. 304 stainless steel. Optional extras: auto-wash valve, aeration devices, motion sensor and mounting frames. Up to 10 years warranty. X35 Under-sink grease trap and grease removal unit. 35 GPM flow rate. Removable side access solids basket. Traps food waste and grease and removes grease with skimming program. Spray bar included for cleaning. 304 stainless steel. Optional extras: auto-wash valve, aeration devices, motion sensor and mounting frames. Up to 10 years warranty. 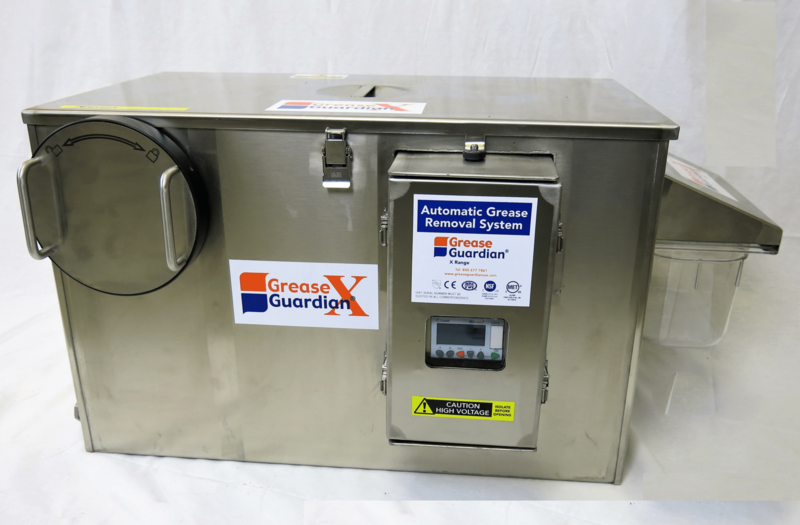 X50 Under-sink grease trap and grease removal unit. 50 GPM flow rate. Removable side access solids basket. Traps food waste and grease and removes grease with skimming program. Spray bar included for cleaning. 304 stainless steel. Optional extras: motion sensor, aeration device and frames. Automatic solids transfer option available. Up to 10 years warranty.